Spire - this was gifted by Peter Black of Largo House and built in 1628. It is unique in that it is not set over the crossing of the Transept but on the Chancel Arch and the stone vaulting of the Chancel roof. Bell - the same Peter Black "master tailor to His Highness the Prince" was responsible for installing the bell in 1636. The bell is 20" in diameter at the skirt and 15" high from crown to skirt. Just below the crown is a cresting surmounting the inscription: "MICHAEL BURGHERHVYS ME F(ECIT) - 1636" "Soli Deo Gloria". 1657 - In April the measons began to build a stone dyke about the church yarde of Largo. It was built at the expense of Johne Wood, sometime a Courtier, one of the house of Largo; it stood him about £50. A tablet in the wall above the disabled access ramp commorates his gift and reads "A.D. 1657. After fifty-five years absence, returning from his travels, caused build this wall about this churchyard in memorie that his predecessors and his parents lyes buried in Largo iylle" - John Wood, Esquire Tablet restored, 1897. To the right at the top of the Church steps under a canopy and protected by a metal grille stands the Largo Stone. This was found in 1839 in two sections, one part being used as a drain cover. General James Durham had them fitted together and installed on the front lawn of Largo House. On sale of the estate it was removed to Arniston in Midlothian but subsequently was returned to Largo in 1895. The Cross belongs to the period ( ? 8th century) when the followers of St Ninian had converted the Picts to Christianity. St Ninian was ordained by Pope Siricius in 394 A.D. as “Bishop to the Southern Picts”. It is an upright slab of red sandstone measuring 6ft 6ins by 2ft 6ins and 5.5ins thick. On the north face is carved a Celtic Cross with sculptured figures below it, those on the right side being two serpent like figures with horse heads and tails intertwined. The figures on the left are too decayed for identification. On the other side there appears to be a hunting scene with three men on horseback and five dogs or other animals. This type of slab is found only north of the Forth mainly in Angus, Aberdeenshire and Easter Ross. The cemetery - Burials in the Churchyard ceased after a new cemetery was opened in 1859 to the north of the church just behind Kirkton of Largo School. To the far left of the top of the church steps stands a small tombstone commemorating the Selkirk family, bearing on the front the initials of John Selcraig and Euphan Mackie, the parents of Alexander Selkirk, the hero of Daniel Defoe's "Robinson Crusoe". On the back can be read the name Andrew Selcraig, probably a grandson. Alexander Selkirk was buried at sea off the west coast of Africa at Cape Coast Castle having contracted yellow fever whilst serving on H.M.S. Weymouth. The Manse - The Manse which stands close by the west side of the Church was originally built in 1760 soon after the building of Largo House and was considerably enlarged in 1822. In the field behind the Manse there was a canal said to be used to transport Admiral Wood from his house to the Church. The stables - The original stables, beside the Manse, were converted, extended, modernised and made into use as the Church Hall being known as "The Stables". Enlarged about the year 1400, ornamented by a spire in 1623, again enlarged and decorated in the year 1817. This inscription was erected in the reign of George III. The Reverend Spence Oliphant being Minister and Alexander Leslie, Architect. Below the inscription about work done in 1817 is a plate which is also inscribed in Latin which translated reads “ and was also enlarged and wholly renewed by John Gilmour of Lundin & Montrave 1894”. Extract from Kirk Session Minute 28th March 1895. The Kirk Session, considering that this is the first time of their meeting within the new Vestry of the restored Church, desire to put on record their deep sense of obligation to John Gilmour Esq of Lundin and Montrave at whose instance and sole charge, the recent extensive alterations and improvements have been carried out. As representing not only the congregation statedly worshipping within the Parish Church for whose more immediate benefit these operations have been undertaken, but as representing the feelings, they may safely say, of the entire parish, to which has been added a place of worship, furnishing an example of chaste and fit adornment according to the most approved principles of ecclesiastical art, of which every parishioner has just reason to be proud, the Kirk Session resolve to have inscribed in their minutes, for the information of those who come after them, the details of the work actually done and also how much they and those for whom they venture to speak, appreciate the generous Christian spirit which, in such a liberal manner, has so much added to the convenience, comfort and beauty of their ancient parich church. A new building on the east side of the South or Lundin aisle containing a vestry and staircase leading to the Lundin Gallery. A new open roof instead of the old ceiling. A new floor; new seats; new furniture; new heating apparatus; new stone mullions in windows to replace the old wooden ones; new diamond shaped leaded wooden panes to replace the old wooden framed square paned windows; the opening up of the Chancel by removing therefrom the old heating apparatus, relaying the floor, fitting up choir stalls, and a platform for the communion table and by taking away the old low circular arch at its entrance and making a lofty Gothic arch instead. The putting in of a stained glass window in the east end of the Chancel; the removal of the inside staircase leading to Lundin Gallery and thus increasing the sittings in the church. Ornamental carved oak fronts to the galleries; a carved oak pulpit and a communion table to match it; a new rose window broken out at north end of Largo Gallery; a new clock; painting and decorating; the whole work costing Mr Gilmour considerably over £2000. 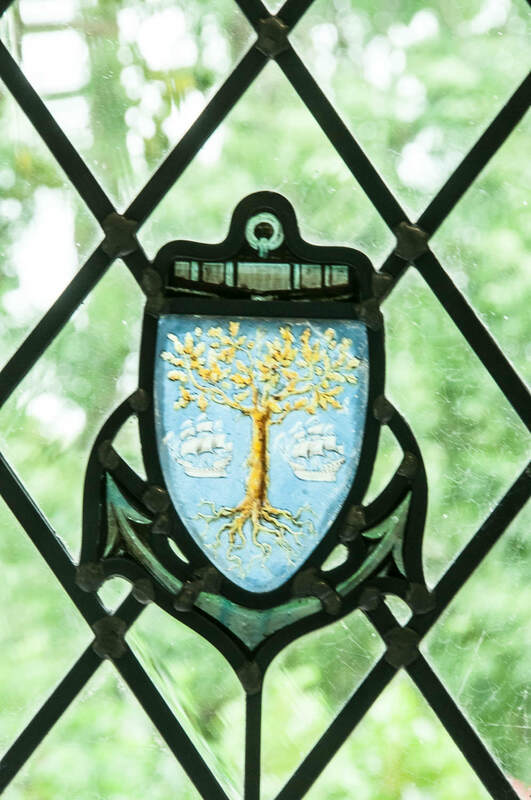 John Baxter Esq of Gilston has placed a stained glass window in the church in memory of his wife, while the representatives of the Wood family have filled the rose window in the Largo gallery with stained glass in memory of Sir Andrew Wood, Scotland’s great naval hero. The money for this was collected by Mrs Briggs of Strathairly. On entering the Nave it is immediately obvious that the nave is not aligned with the Chancel as it would have been in the original pre-reformation Church. At the time of the alterations in 1894/5 a new pitch pine roof was installed and in the windows stone mullions replaced the old wooden ones. In 1965 major redecoration and other alterations were carried out. The pulpit and font were brought from Newburn Church and a new Communion Table, designed and constructed by Lord Robert's workshop in Dundee, was gifted by the Lindsay Burns family. The walls are rich in mural monuments, mainly in the chancel, which remind us of precious heritage and wealth of history contained in the words written thereon. Three War Memorials are on the South side of the nave. The first having been brought from Newburn commemorates those from that Parish lost in the 1914-1919 war. The next two record the names of those from Largo killed in both the 1914-1918 and 1939-1945 conflicts. The Largo 1914-1918 tablet records the names of four Anderson brothers from Strathairly. The eldest son, Colonel W.H. Anderson of the 12th Highland Light Infantry was killed in action on 25th March 1918 and was posthumously awarded the Victoria Cross for gallantry. His citation reads "At Bois Favieres, near Maricourt, France when the enemy attach had penetrated a wood on the right of his line and there was great danger that the flank of the whole position would be turned Lieutenant-Colonel Anderson gathered together the remainder of this two companies, counter attacked and drove the Germans from the wood, capturing 12 machine guns and 70 prisoners. Later, the same day, Colonel Anderson led another counter attack which resulted in the enemy being driven back from his position, but the Colonel died fighting within enemy lines". At the west end of the nave a simple brass plate was erected by the crew of the Royal Naval light cruiser H.M.S Dunedin, in memory of Boy Seaman Richard Muckersie who was lost overboard in September 1939. H.M.S. Dunedin was torpedoed in the South Atlantic on 24th November 1941, with the loss of 419 men and 67 survivors. 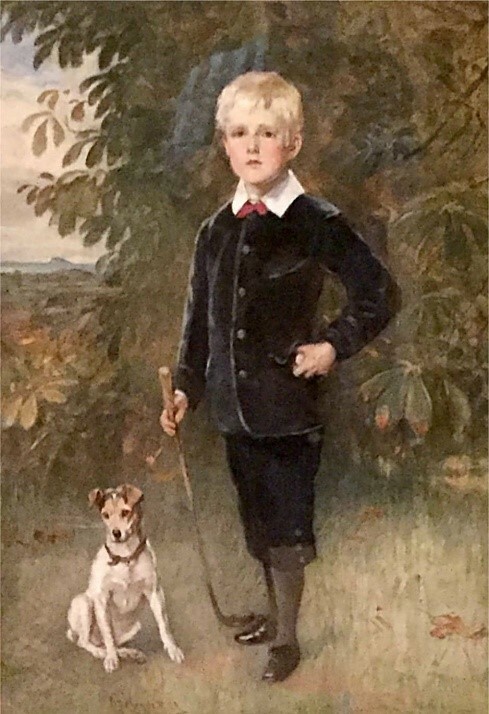 James Kettle - gift of a handsome amount of money to educate poor boys. Sir John Leslie - gifted youngster entering senior mathematics class at St. Andrews University in his thirteenth year, later becoming Professor of Mathematics and subsequently Professor of Natural Philosophy at Edinburgh. The Durham Family - Lairds of Largo for some two hundred years. James built Largo House in 1750, and his distinguished sons - General James Durham and Admiral Sir Philip Charles Durham. The Briggs Family of Strathairly - Col. John Falconer Briggs and his brother Lieut. David Briggs. Revd. John Ferrier - under the chancel, beneath the arch, a stone slab now covered by the raised floor is the burial place of a former minister of the parish. He was born in 1700 and died 28th December, 1766. Called and ordained here on 16th September, 1724 he was Minister of this Parish for 42 years, serving faithfully until his death. "Sir Andrew Wood Largo His Youngest Son Thomas Lyeth Here Buried with his wife Margaret Logie and Their Sonne John Wood Esquire". John Goodsir was born on Wednesday 19th October 1746 in Wemyss Parish, Fife and was baptised on Saturday 22nd October 1746. He was the first son of John Goodsir, a tenant farmer of Muiredge, Wemyss Parish and his wife, Janet Walker. He was educated at Upper Largo School and Edinburgh University. Dr Goodsir relocated to Largo Parish where he met and later married Agnes Johnston on Friday 12 November 1773. John, baptised Sunday 23 April 1775 and died Wednesday 26 August 1789. James, born Friday 11 April 1777 and died Friday 2 March 1780. Henry Duncan, born Saturday 13 June 1778 and died Friday 25 March 1818. Archibald, born Saturday 4 December 1779 and died Friday 25 February 1820. Mary Caroline, born Saturday 2 June 1781 and died Wednesday 20 April 1785. John, born Tuesday 4 June 1782 and died Thursday 1 June 1848. Johnstone, born Saturday 14 August 1784 and died Friday 1 April 1785. Caroline Johnstone, born Sunday 30 April 1786 and died Tuesday 8 January 1867. Janet, born Sunday 15 July 1787 and died Tuesday 11 December 1827. James, born Wednesday 1 April 1789. Mary, born Sunday 19 December 1790 and died Thursday 31 December 1868. Three of his sons Henry, Archibald and John became surgeons, two of whom, Henry and Archibald are commemorated on this plaque. It was said of Dr Goodsir of Largo “This big nosed, long headed, large hearted” disciple was a fine specimen of the eighteenth century country medical practitioner, hatted, booted, and spurred, a la mode. Wiry in build, thoughtful and successful in practice, aye ready with his “mull”, aye ready to help a neighbour as well as to uphold the interests and character of “canny Fife”, he was among the most popular of men. He was very involved with the Baptist Church being a Lay Pastor and purchasing for them a meeting house in 1809. His son John who became the Doctor in Anstruther was father to Joseph Taylor Goodsir who became Minister of Largo in 1843 but resigned in 1850 on the grounds that “the standards of the church were not consistent with the teaching of scripture”. His grandson, also named John, who was born in Anstruther on 20 March 1814 became Professor of Anatomy in the University of Edinburgh. 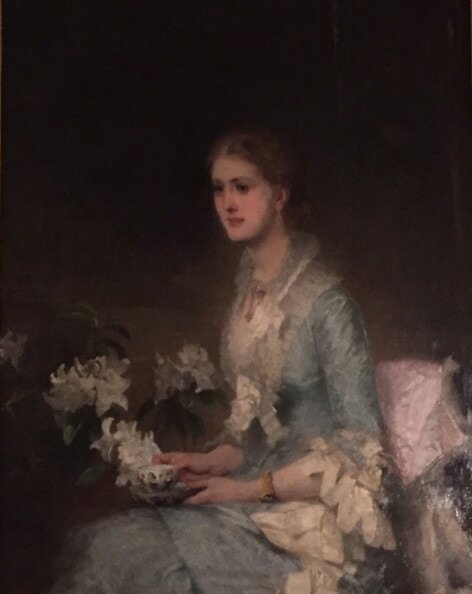 Goodsir’s mother was Elizabeth Taylor, great-granddaughter of of Grizzel Forbes, the sister of Duncan Forbes , president of the Court of Session. Educated at Anstruther, then St Andrews University, he followed four years of an Arts course but did not take a degree. In 1830 he was apprenticed to an Edinburgh surgeon – dentist. In 1835 he took over the practice and also obtained the licence of the Royal College of Surgeons. He returned to work alongside his father in Anstruther. In 1840 he returned to Edinburgh and the following year was appointed Conservator of the Royal College of Surgeons Museum. 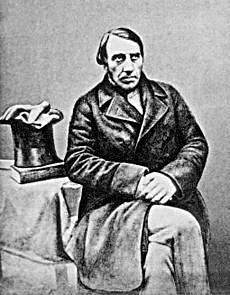 He moved in 1842 to become Curator of the Royal Anatomical Museum. On the death of Alexander Monroe in 1859 he was elected as Professor of Anatomy at Edinburgh University. He died in Edinburgh on 6 March 1867. His brother, Harry Duncan Spence Goodsir had succeeded him as Conservator of the Royal College of Surgeons Museum but sailed with the ill-fated Franklin Expedition in 1845 and perished with it. Plaque - in memory of Christian Ranken (wife of John Fortune), their two sons John and David, and John Fortune ESQ, and of John their son. During alterations and improvements to the Church in 1894 and 1895 new windows were installed. The one in the chancel was erected by Sir John Gilmour of Montrave and the one to the left of the pulpit by Mr J.H. Baxter in memory of his wife, Amy Constance Baxter of Gilston, born 1853; died 1881. 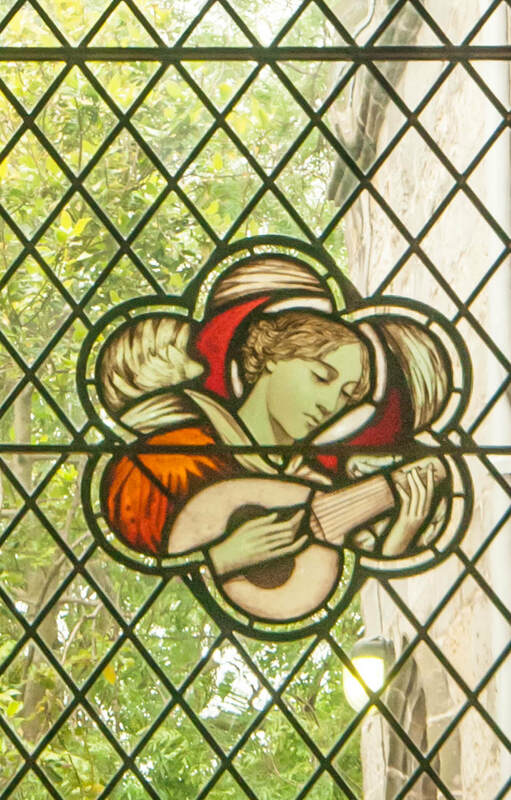 Recent information from the Scottish Stained Glass Trust confirms that both of these were designed by David Gauld on behalf of the Guthrie Studio. This window was installed as a gift to the church in memory of Amy-Constance Baxter who died in January 1881 aged 27, less than a month after giving birth to her second child- Noel Baxter. Noel was born on Christmas day 1880 at Gilston House (about 3 miles from Upper Largo). Soon afterwards Amy-Constance became ill with puerperal fever (a streptococcal infection) and in the pre-antibiotic era, died from this condition. Amy’s parents were Macphersons of Balavil and her grandfather was Sir David Brewster, once principal of St Andrews University. Amy’s widower, John Henry Baxter, brought up the new-born child and his older sister Evelyn (Eve) who had been born in Edinburgh in March 1879. He subsequently re-married. As an adult, Eve lived at “The Grove” in Upper Largo, was a well-known ornithologist and contributed to the community in many ways. Noel continued to live at Gilston House and is the grandfather of the current owner. He had a career in the army retiring as Lt Colonel. He married Evelyn Mary Laurie on July 24th 1923 and died on March 29th 1950. This, and the images in the window echo the grief the family must have felt at the bereavement. The words come from verse 5 of the hymn “The church’s one foundation” which had been written in 1860’s by Samuel John Stone in response to schism in the church in South Africa. 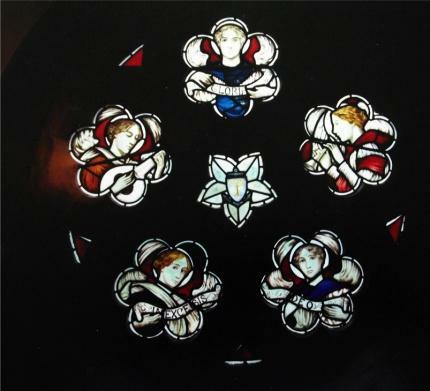 In 1894 at the same time as the Gilmour and Baxter windows were being installed the Wood family placed in the North Gallery a rose window in memory of Sir Andrew Wood. The inscription reads “In pious memory of Sir Andrew Wood of Largo who after faithfully serving his King & Country lived and died there in an honoured old age & was buried where he had worshipped in this church. A.D. 1540". In 1981, the Artistic Affairs Committee of the Church of Scotland allowed the installation in the North Gallery of an organ obtained from St. Margaret’s Roman Catholic Church, Dunfermline. This meant the window was totally obscured from within the church. 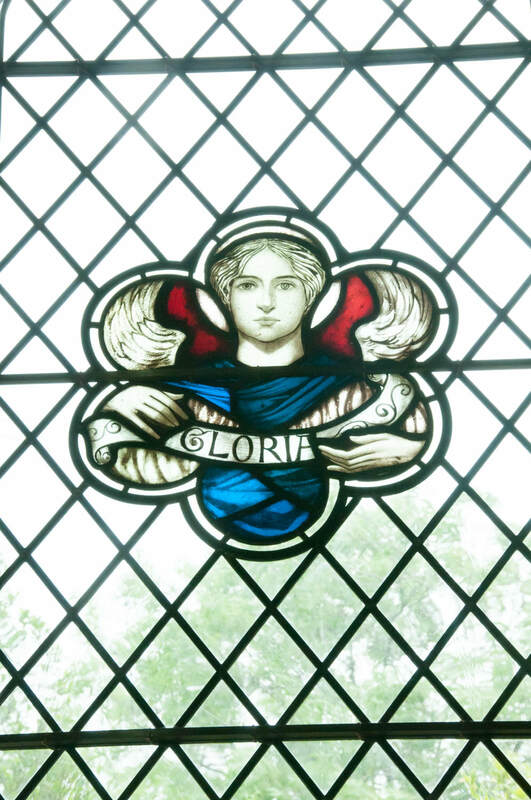 It was decided that at the time of a major refurbishment of the church exterior and stained glass windows in 2016 / 17 that the Wood window be re-sited in the north side of the Nave. This met with the approval of the Wood family. This new window was designed by Mark Bambrough of Scottish Glass Studios. 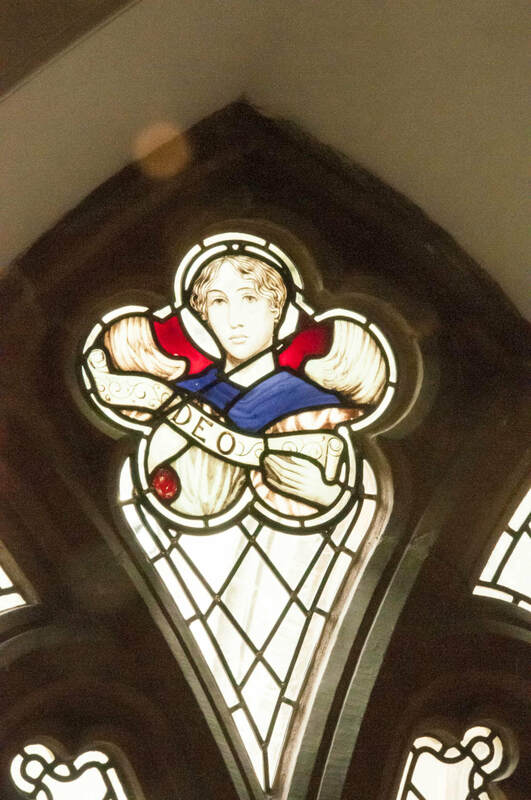 The window in the South transept was given to the church by Jean Helen Gaskell in memory of her husband Lt Col Thomas Kershaw Gaskell. The artist was James Ballantine the third. An identical window is in Roxburgh Church. Rev'd. Douglas Lister in the 1970s had suggested the artist might be Douglas Strachan but the Scottish Stained Glass Trust is of the opinion that while there are similarities with Strachan's drawing he is not the artist. Lt Col Thomas Kershaw Gaskell was born in Portsea, Portsmouth on Oct 1st 1870 as one of 8 children. His father, also Thomas, was in the army and hence was required to move frequently with his work. In the mid to late 1870’s they lived in Cupar, Fife. In Oct 1892 he was commissioned into the Royal Fusilliers and then entered the Indian army in 1894. In 1901 he was Captain in 89th Punjabi regiment. On Aug 5th 1910 he married Jean Helen Rintoul at Largo Parish Church, the service being led by Rev D Macmichael. Jean’s parents, Robert and Margaret lived at Lahill House. It is not clear where and how she and Thomas met. Soon afterwards Thomas returned to India, rising to the rank of major by Oct 1910. Jean moved to Strathairly House to live with her uncle, Andrew Rintoul. Thomas was in India for the majority of the First World War (tho’ on half pay 1910-16- records do not show why). He retired in the early 1920s with the rank of Lt Col and lived with his wife at Lahill House initially, then Balchrystie and finally Largo Cottage in South Feus. They had no children. 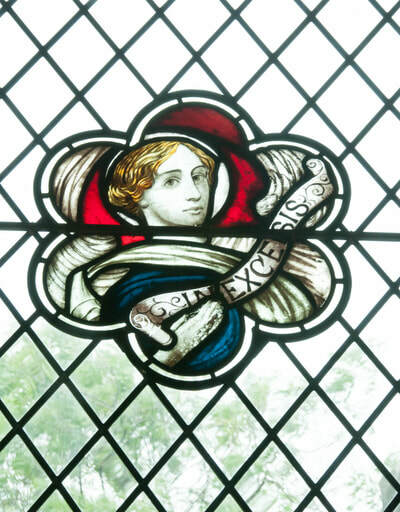 Thomas died on Nov 20th 1934, aged 64 and the window was erected in his memory. 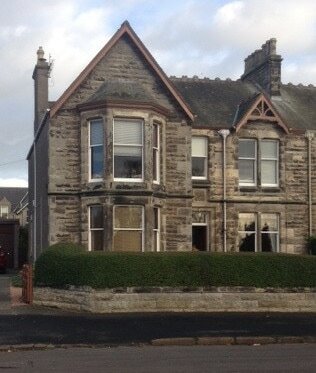 Jean moved to St Margarets (now Strathearn) in Victoria Rd, Lundin Links- image below. From there she ran a Sunday school in a garden hut- at least one current (2016) member of Largo and Newburn church was taught by her. Jean died in 1948 aged 67. 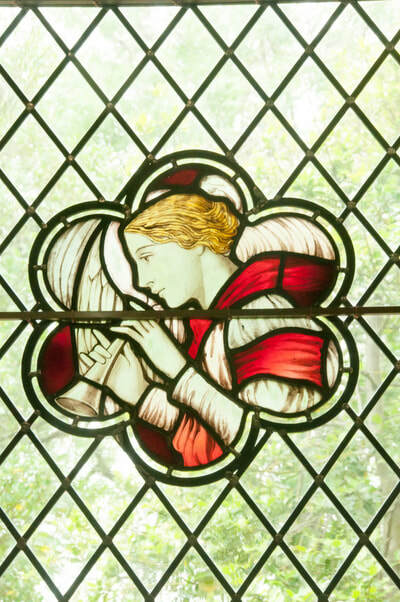 The window was designed and made by Gordon Webster (1908-87). He was rooted in the “Arts and Crafts” movement style and later developed a new style known as “German Expressionism”. The inscription reads “Now is come salvation and strength- King of Kings and Lord of Lords. To the Glory of God. In ever grateful remembrance of Lt Col Thomas Kershaw Gaskell 20th November 1934”.